Georgia saw its first British troops in early 1776 when a fleet of British ships arrived at the mouth of the Savannah River to buy rice for the British troops which were then blockaded in Boston. Georgia patriots resisted the efforts to buy rice and the Battle of the Riceboats ensued. 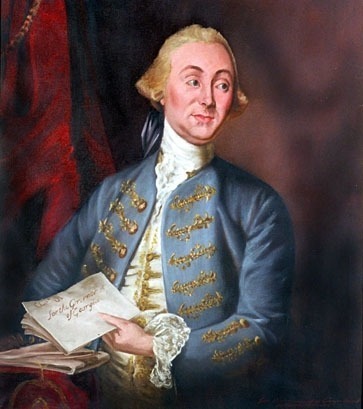 During the affair, Georgia's Royal Governor, James Wright, was taken captive. Wright eventually escaped and fled the colony with the British and their confiscated rice. 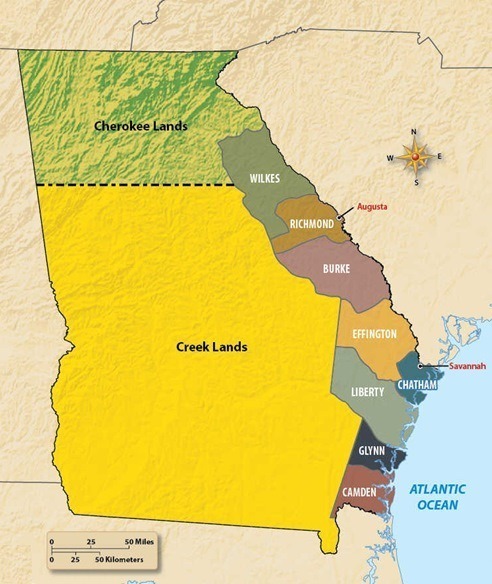 the rest of modern day Georgia was Indian territory. In December of 1780, after several large defeats in the south, the Continental Congress appointed General Nathanael Greene the new head over the Continental Army's southern department. Greene's leadership and skill quickly subdued the south. By the summer of 1782, the British had abandoned all of Georgia except for Savannah.